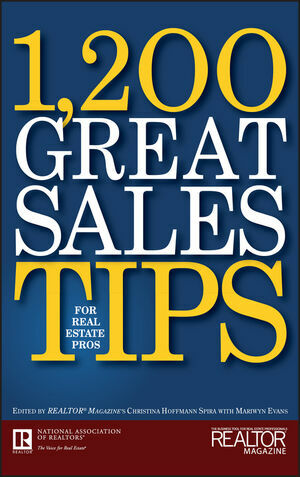 Perfect for brokers, agents, and other real estate professionals, this handy guide brings together the best ideas from years of incredibly practical lists and checklists published in REALTOR Magazine. This practical, one-of-a-kind guide is perfect for learning the business of real estate and perfecting the best and most effective tactics and techniques for helping your real estate career and business grow. REALTOR Magazine is the official publication of the NATIONAL ASSOCIATION OF REALTORS, the largest professional trade association in the United States. With 1.3 million regular readers, REALTOR Magazine is the central business tool for real estate professionals throughout the country. Register for REALTOR Magazine Online's free daily or weekly e-mail news service, covering market and industry trends; and its monthly e-mail Business Tips Newsletter, featuring sales and marketing ideas, technology tips, interactive quizzes, and more, at REALTOR.org/realtormag. What Would Miss Manners Do?